MILTON – The Laurier Association for Lifelong Learning (LALL) is offering a spring course investigating the cultural history and natural wonder of the Niagara escarpment. The course, which begins May 6, will be held at the Milton Education Village Innovation Centre. 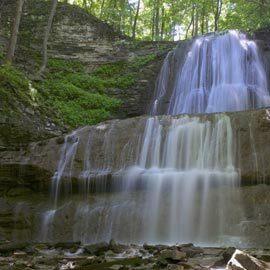 The Natural and Cultural Legacy of the Niagara Escarpment is a six-week program that will focus on the unique natural features, ecological importance, recreational opportunities and the existing land use regulation program of the escarpment. Participants can expect to gain a better understanding of the Niagara Escarpment by the end of the course. The Laurier Associations for Lifelong Learning aims to offer high-quality, personal interest courses from experts at Laurier and is overseen by Continuing Studies, which has been in operation for 18 years at Laurier’s Waterloo campus. For further information about the Natural and Cultural Legacy of the Niagara Escarpment course, visit www.wlu.ca/lall.